Peel Thunder have moved into the top five after a hard fought, 18-point victory over Swan Districts at Bendigo Bank Stadium. Peel celebrated captain Gerald Ugle’s 100th game, winning 10.18 (78) to 9.6 (60). The Thunder’s Brayden Lawler said the Swans are a strong side to beat but the team dug deep to get the win. “They’re a very tough team, we know every time we play them – the ladder positions don’t really matter as much, we know it’s going to be a hard game,” Lawler said. Peel got off to an impressive start, keeping Swans scoreless for the first 15 minutes of the game. Lawler said getting off to a good start in the first quarter has been a focus this season, especially leading into the game against Swans. “I think a few games this year which we have lost is when we haven’t really started too well so that’s our main focus at the moment,” he said. Peel kicked four second-term goals to the Swans three, increasing their lead to 24 points at half time. The Swans fought back in the third term kicking three goals to close the margin to five-points. Peel dug deep in the final term, with goals by Taylin Duman, Sean Darcy and Gerald Ugle securing the win over the Swans. Bradley Hill made a successful return to the field from injury, collecting 25 disposals in a dominant first-half performance. Harley Bennell and Danyle Pearce were also standouts with 21 disposals, one goal and 35 disposals respectively. Ruckman Sean Darcy had his best game of the season, kicking three goals and finishing with 31 hit-outs. 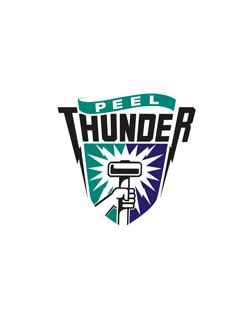 Peel Thunder will face an undefeated Subiaco next Friday night, July 6 at Leederville Oval.